When defining a gradient fill, you can include a number of different gradient stops. 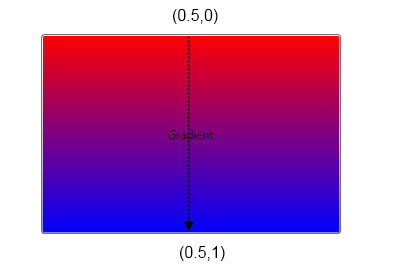 For each stop, you define the color that the gradient should be at that stop (set Color property), and the location of the stop along the gradient line, from 0.0 to 1.0 (Offset property). 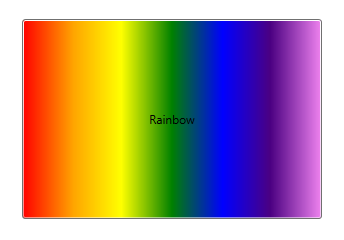 Here’s a gradient brush that defines the seven colors of the rainbow. 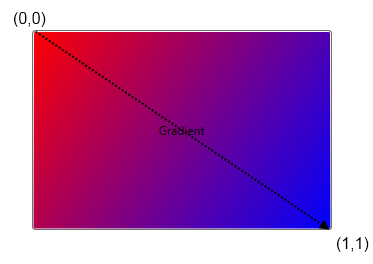 You typically set the StartPoint and EndPoint of a gradient fill at the control’s boundary. 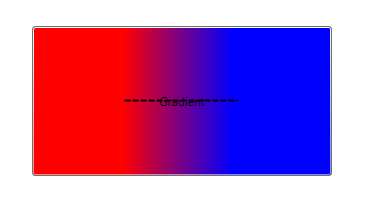 For example, a red-blue gradient might start at the left edge of the control and end at the right edge. This is done with a StartPoint of (0,0.5) and an EndPoint of (1,0.5). You can also specify start and end points that are in the interior of the control. If we specify (0.33,0.5) as the StartPoint and (0.67,0.5) as the EndPoint, we get the following. 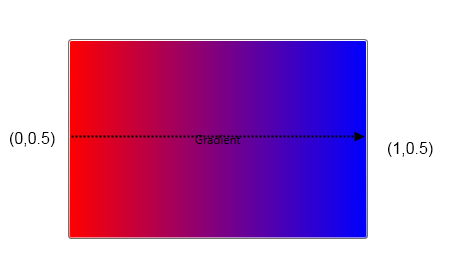 (Gradient line drawn, for reference). 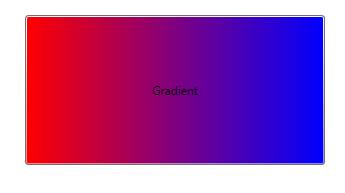 We still have a red-to-blue gradient, but the gradient starts 1/3 of the way into the rectangle and finishes 2/3 of the way into the rectangle. 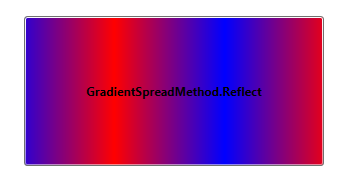 The fill behavior outside the specified gradient line depends on the value of the GradientBrush.SpreadMethod. 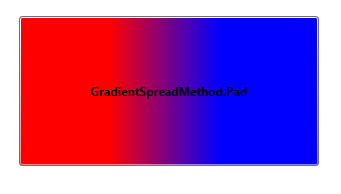 The default for this property, GradientSpreadMethod.Pad, specifies that the color at the edge of the gradient should just be extended to the edge of the control. By default, the gradient line in a linear gradient brush starts in the upper left corner of a control and extends to the lower right corner. 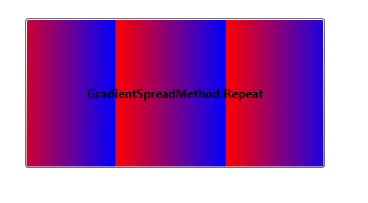 You can change the gradient line by specifying values for the StartPoint and EndPoint properties. Each of these properties specifies a two-dimensional point (X,Y) indicating where the gradient line starts or ends. The default StartPoint is (0,0) and the default EndPoint is (1,1). 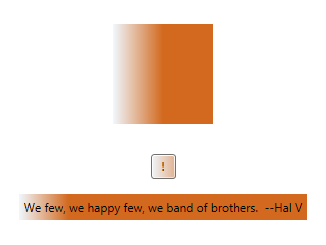 We get the following gradient. 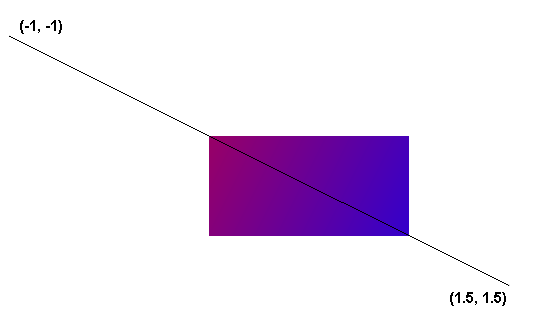 The gradient line is drawn, for reference.